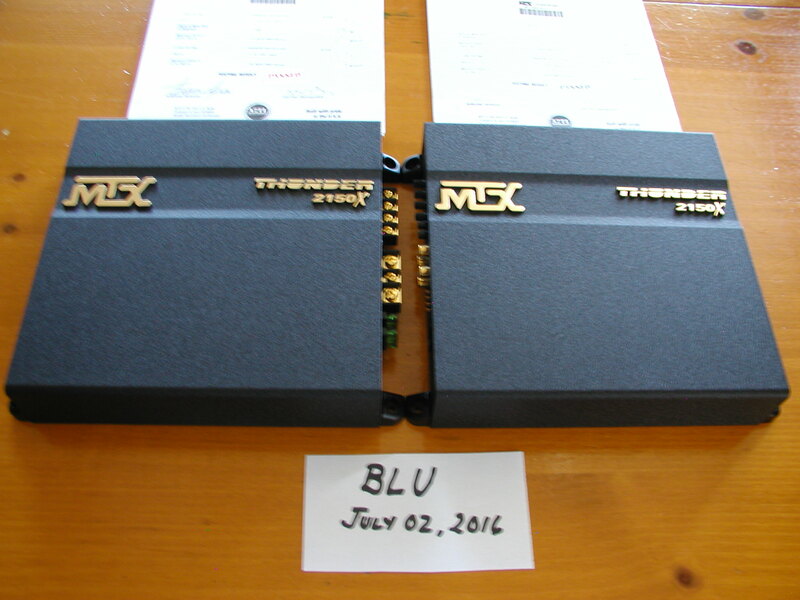 I have a MTX Thunder 2300x & 2150x (2) for sale. 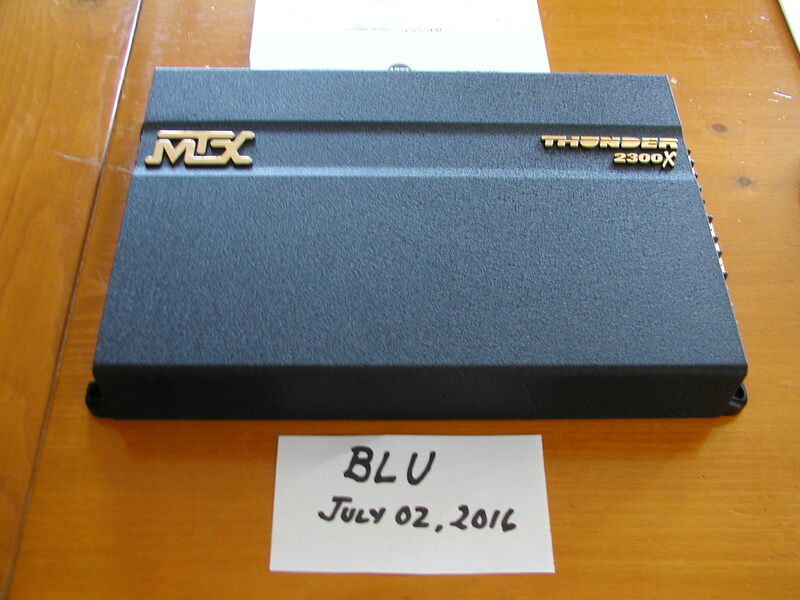 * Amplifiers are very clean and paint & gold lettering is in excellent condition. * All amplifiers have mounting mounting feet - none broken. * All rear seals are intact. * All terminal strip hardware is present and in excellent condition. 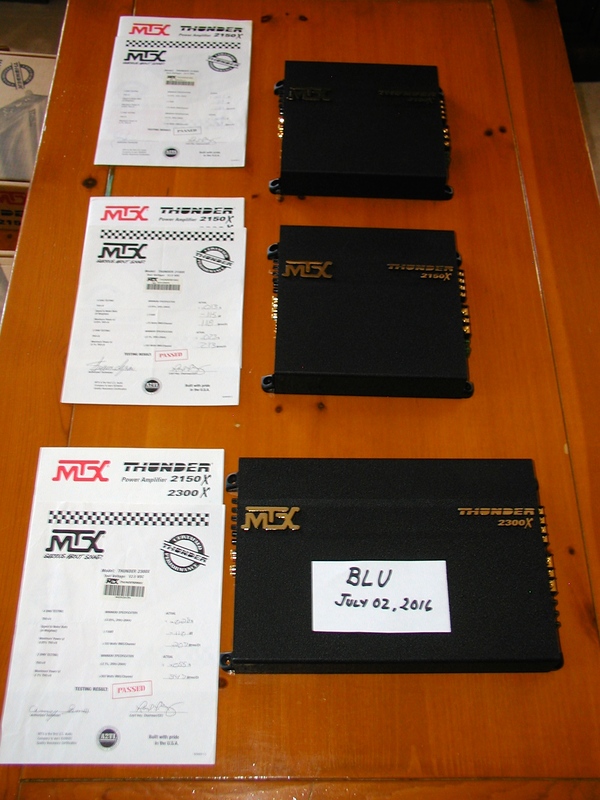 * All amplifiers come with original boxes, owners manuals & birth sheets! Not interested in trades, thanks! To be shipped fully insured and signature required. These amps are VERY conservatively rated! Thanks for checking out my ad! Last edited by Blu; 07-08-2016 at 02:43 PM. 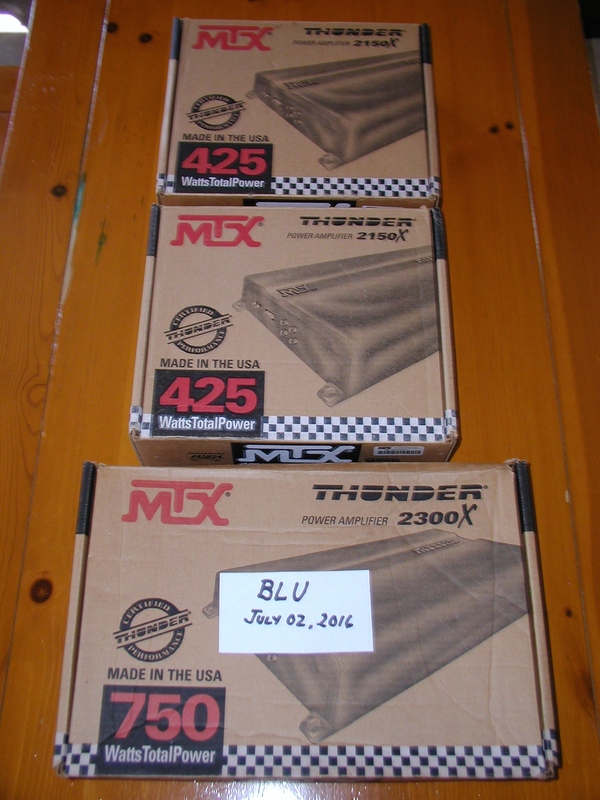 I have potential buyers for the amps - but have not yet concluded the the sale(s). If the deals fall through, I'll let you know.